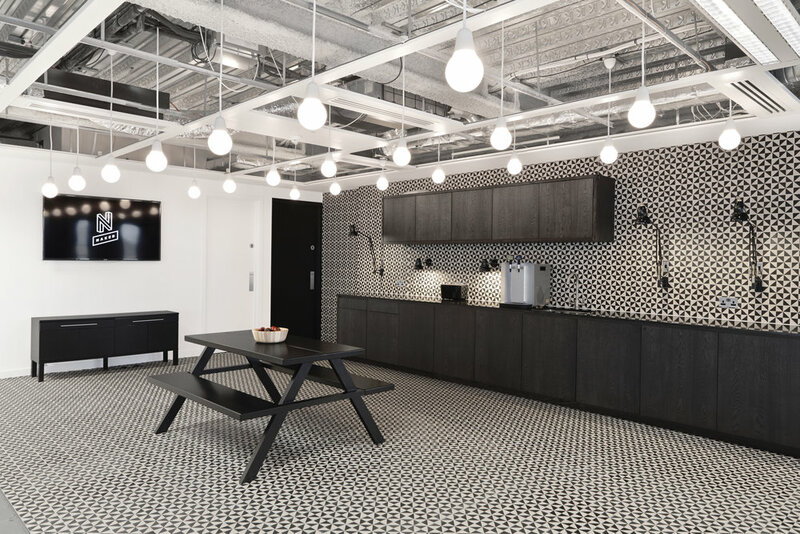 A typical, city office environment has been deconstructed to create a striking, monotone interior, reinforcing advertising agency Naked’s brand identity. 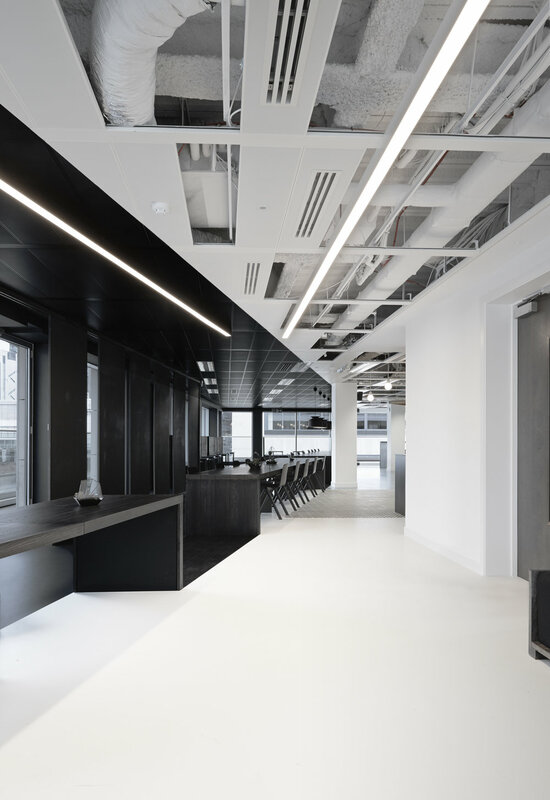 A long feature desk cuts sharply through the space, dividing black and white, stretching from reception through the café space, and then into the main open-plan workspace. 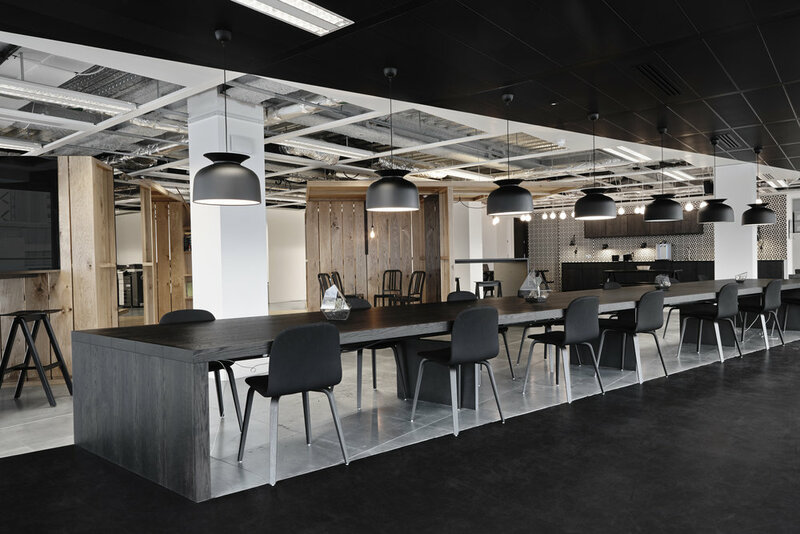 Oversized, solid oak timber pallets feature in the middle of the open-plan floor, providing warmth and texture to the monotone backdrop. 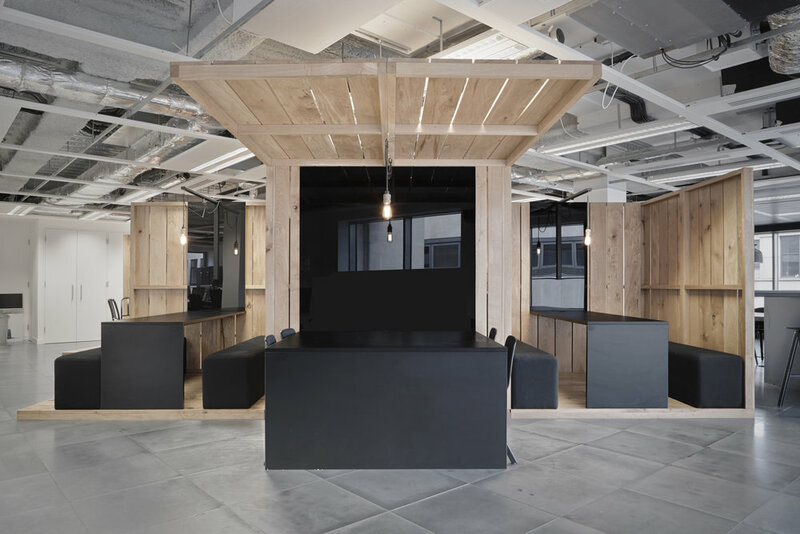 These pallets form collaborative workspaces, semi-private meeting spaces and breakout areas.